A well-stocked kitchen always makes for better meals, satisfied families, and-most important-happy cooks. But filling cupboards and stocking shelves with the right ingredients can be an endeavor all its own. That's why Jennifer Chandler's The Southern Pantry Cookbook (Thomas Nelson, $24.99, October 2014) is the perfect resource for setting up an efficient kitchen, primed for turning out meals with maximum flavor in a minimal amount of time. 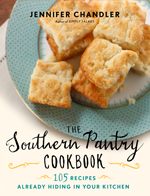 Calling on her experience as a chef and lifelong Southern cook, Chandler incorporates comprehensive pantry checklists with simple instructions, shortcut ideas, and fun substitutions that will have you cooking with confidence and serving delicious meals your family will request again and again. Along the way, Chandler answers those questions every cook encounters at some point: Can I freeze this? I'm out of buttermilk-what can I substitute? When do I need to replace those dried herbs I've had for a while? So get that pantry stocked and prepare for rave reviews. If your grilling repertoire is limited to burgers and hot dogs, it might be time to reconsider your grill's true potential. Think beyond that typical backyard menu, and imagine serving up a platter of skewered Caribbean Grilled Shrimp with Pineapple Salsa or a Balsamic Beef Tenderloin alongside an Asparagus and Cherry Tomato Salad. Memphis chef Jennifer Chandler has assembled everything a grilling amateur could possibly need to achieve pitmaster-caliber results any night of the week. 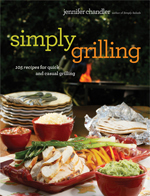 Whether you're cooking with gas, charcoal, or cast iron, Simply Grilling (Thomas Nelson, $24.99, April 2012) will eliminate the uncertainty and have you manning the flames with confidence. In her accessible style, Chandler explains everything, the tools, the heat, and the flavors. If you've always found grilling to be a guessing game, you'll never have to wonder again if the heat is just right or if you flipped your food too soon. From appetizers to desserts and everything in between, Simply Grilling is your guide to delicious meals, hot off the grate. We're all faced with the same question every evening. Jennifer Chandler's newest recipe collection is full of delicious answers. From weeknight meals to weekend feasts fit for company, Simply Suppers (Thomas Nelson, $24.99, August 2010, ISBN 1-4016-0059-4) is your guidebook to putting comforting favorites on the table without a big hassle. Preparing dishes such as Braised Short Ribs, Roast Chicken with Pan Gravy, and Crawfish touff'e doesn't have to be overwhelming. Chandler shares her culinary experience, equipping you with the know-how you need to serve these memorable meals tonight. You'll discover the essentials of a well-stocked kitchen and simple strategies for streamlining the cooking process. Simply Suppers features every successful home cook's secret' a selection of tried and true recipes that come together in a snap. This beautifully photographed cookbook is filled with entr'e, side dish and dessert ideas that are easy enough for a Tuesday night meal with the family and impressive enough for special weekend guests. Get ready to transform your kitchen into a workspace where you'll enjoy whipping up satisfying suppers for the people you love the most. Leonard Gill's Simply Suppers Book Review in Memphis magazine. The Washington Post featured another Simply Suppers Recipe in the Food & Dining section. 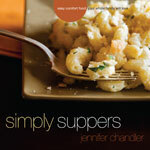 Megan Weiss includes Simply Suppers in Our 5 Favorite Cookbooks Right Now for Ladies' Home Journal. Robin Gallaher Branch's Simply Suppers Book Review in The Daily News. C. Richard Cotton's Simply Suppers Book Review in The Commercial Appeal (Memphis). 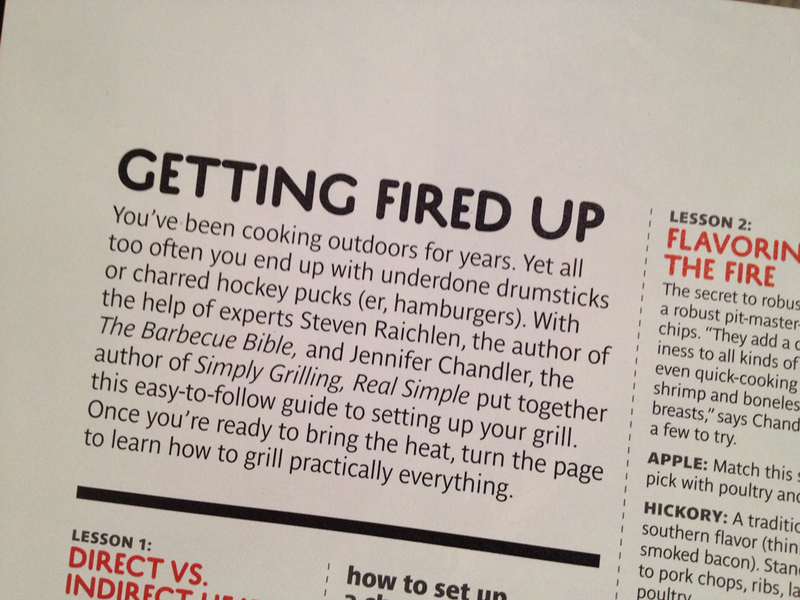 The Washington Post featured Simply Suppers Recipe in the Food & Dining section. Allison Lemm's Simply Jennifer in Edible Memphis. Ellen Jordan's Simply Suppers Book Review in MidSouth Magazine. Eat Local Memphis cooks from Simply Suppers Book Review on Eat Local Memphis. With the popularity of gourmet salads on the rise, from five-star restaurants to fast food chains, salads are becoming much more than boring diet food or the preview to a meal. Salads are a delectable, healthy and quick alternative as well as a meal's main event. Simply Salads (April 2007, $24.99, Thomas Nelson, ISBN 1-4016-0320-3) by Author and Chef Jennifer Chandler, delivers over 100 creative recipes you can make in minutes-showing that anyone can create a gourmet salad by simply picking up salad mix and adding your favorite ingredients. Chandler's salad masterpieces also include dressing recommendations, recipes, menu ideas and nutritional information. All the recipes are accompanied by stunning photos of each salad. From the Classic Caesar Salad with Herb Croutons to the Mandarin Chicken Salad with Toasted Sesame Vinaigrette, these recipes are guidelines to getting you started on creating your own satisfying salads with your favorite ingredients. Dara M. Grumdhal's Let There Be Salad Food Culture Article. 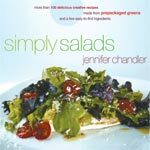 Jennifer Bigg's Simply Salads Book Review in the Commercial Appeal. Leonard Gill's Easy Does It Food Feature Article. Kathy K. Martin's Simply Salads Book Review in MidSouth Magazine. Mary Warner's Simply Salads Book Review in the Oxford Town newspaper . Logan Mosby's Simply Salads Book Review in the Delta Democrat Times.